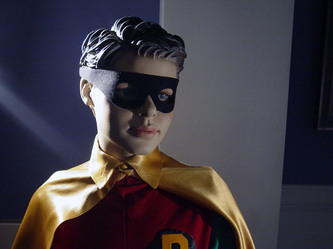 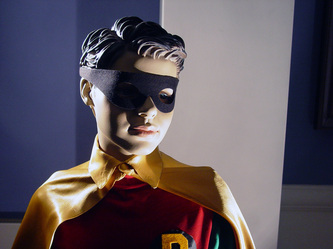 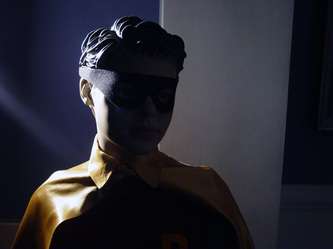 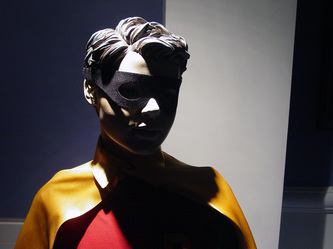 With Director Roberto Williams' vision of "Fathers Of The Dark Knight as a "noir" stage play, featuring moody lighting and a dark tone, a challenge presented itself regarding how best to depict the bright and colorful sidekick of The Dark Knight, ROBIN THE BOY WONDER. Not wishing to deviate at all from the character's classic comic book appearance, the Director made a special effort to ensure that Robin would visually fit the tone of the rest of the characters on stage. 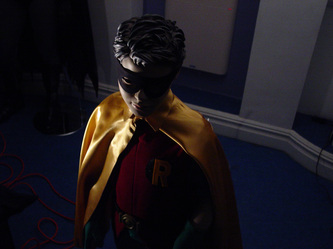 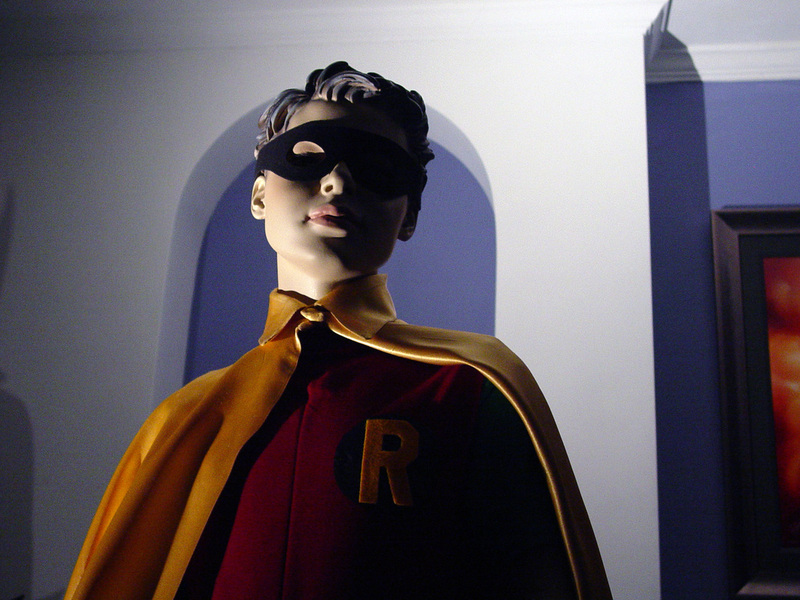 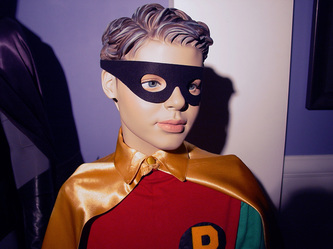 With the boy's costume consisting of such vibrant colors and such fanciful design, it was quickly determined that dramatic characterization, proper staging, and CAREFUL LIGHTING would be the critical components to seamlessly blend Robin into this dark and often terrifying world of Gotham City. 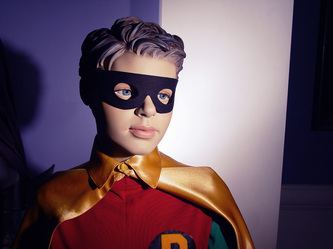 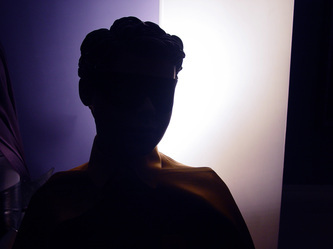 Using the same life-like mannequin that was used to fabricate Robin's final costume, Mr. Williams shot a series of stills under varying lighting conditions. These images are intended to serve as a guide for the production's lighting director to establish what will be required (and what should be avoided) when lighting the junior half of the Dynamoc Duo for the stage.